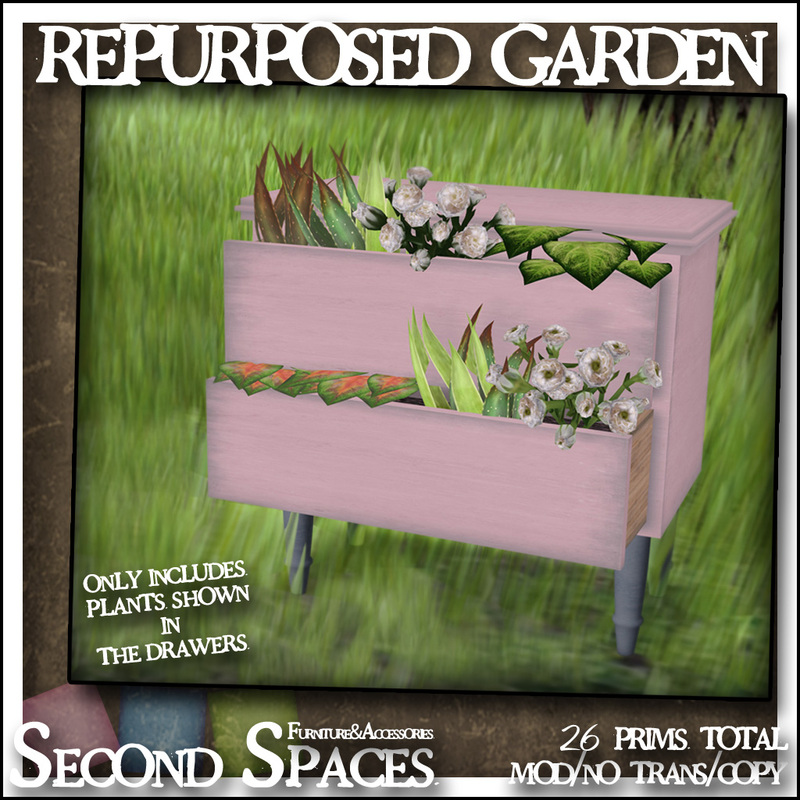 First, the Repurposed Garden set – a classic old dresser refurbished as a quaint planter for your home or garden! 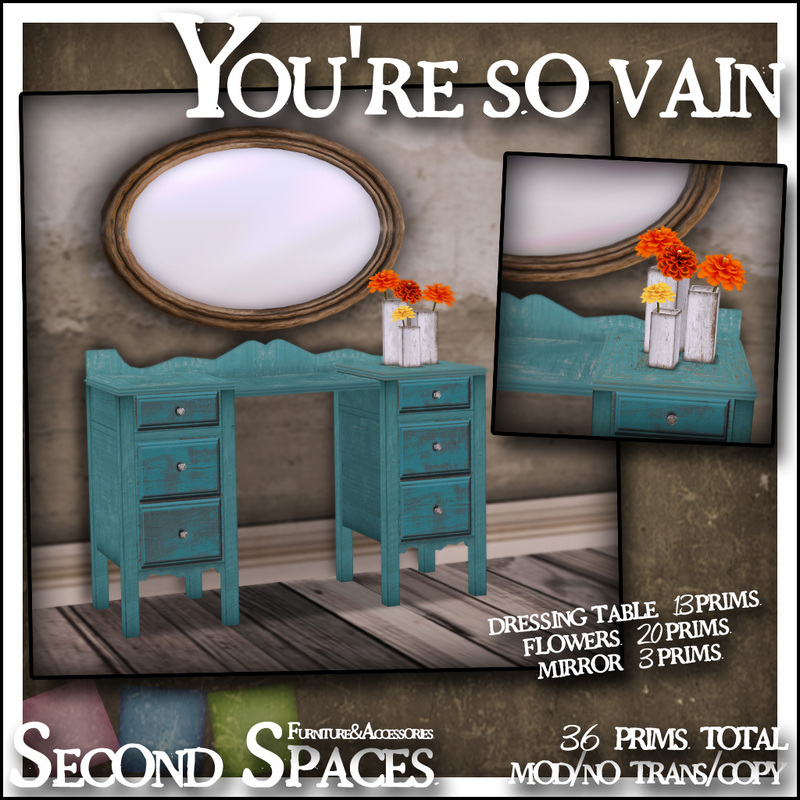 Second, the You’re So Vain set – a gorgeous vintage dressing table with an antique brass mirror, and a precious trio of recycled wood vases holding freshly-picked marigolds. 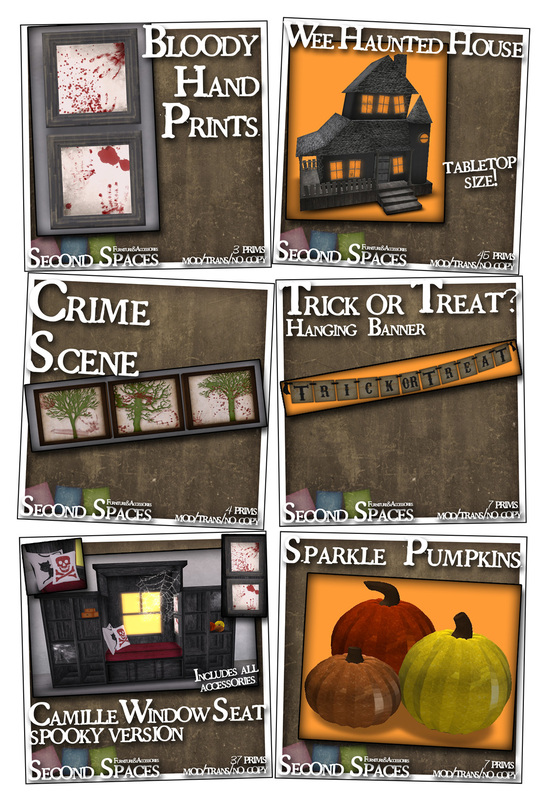 My Halloween items are also out at the main shop! Hi! Just a quick post – I’ve seen quite a few cute things being released today and I just wanted to be sure you saw them, too! It’s a service I provide. 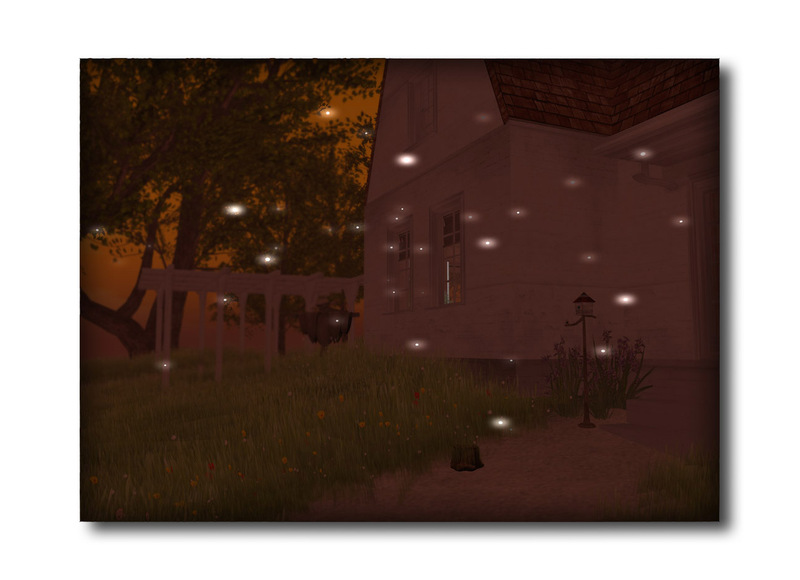 We’ve got two really cute home decor items in Fifty Linden Friday this week! 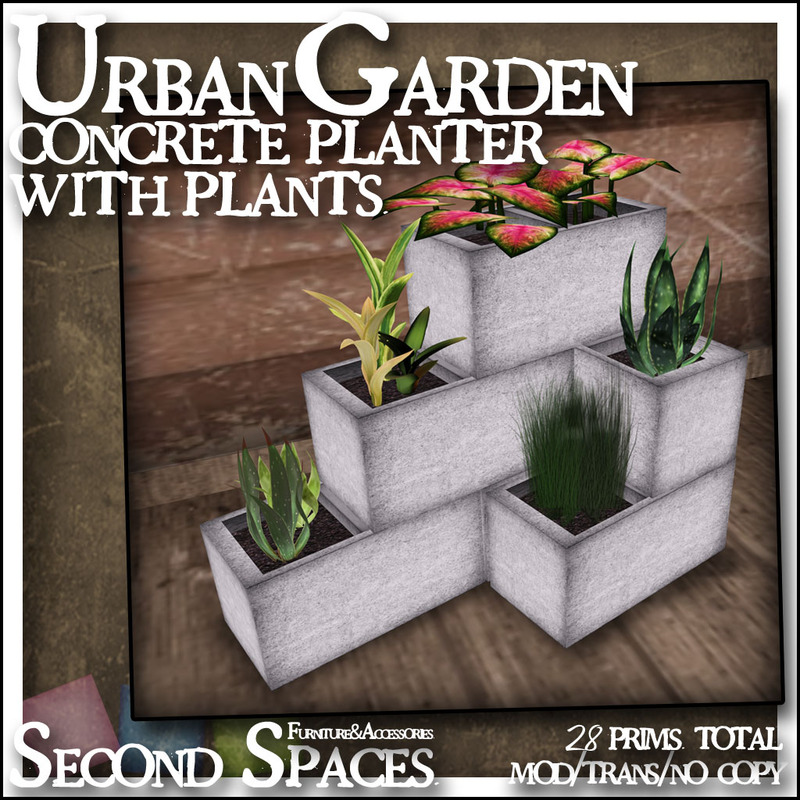 Don’t forget – the items at Nordari and cluttered flowey are only 50L, only for today!! 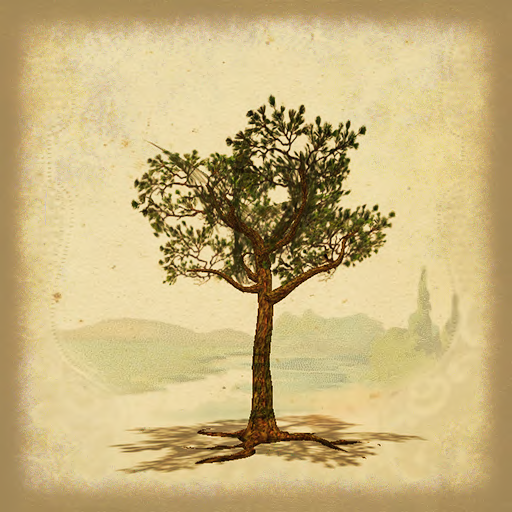 I was also happy to see a new pine tree from Vitrail Illios over at New Trails – he’s always one of my favorites! Ohhi! 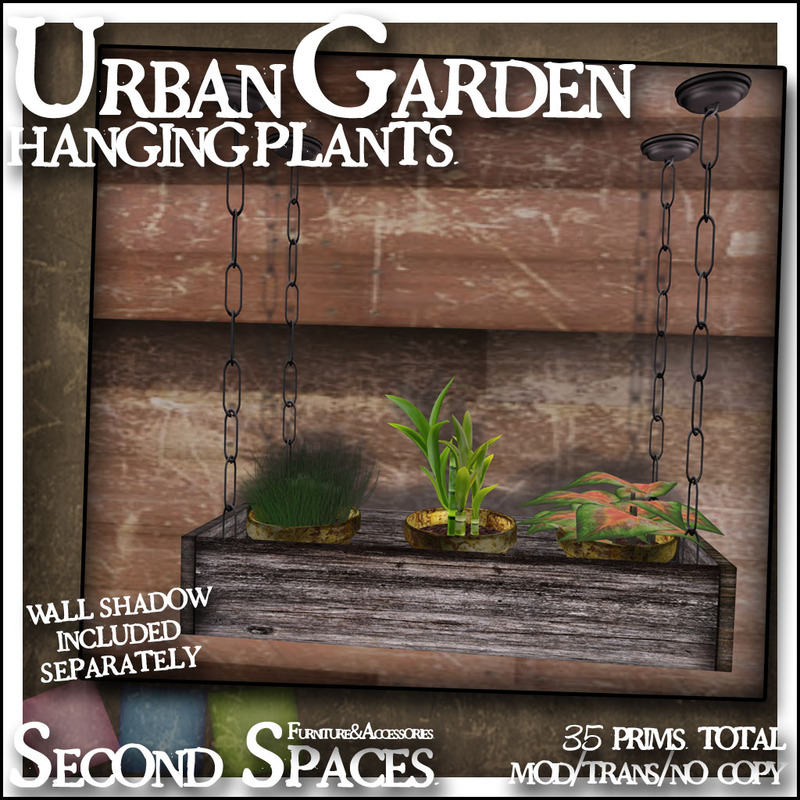 I’ve got some fun garden/landscaping accessories for you today at Second Spaces!